Cordoba countryside is one of the most valuable parts of the heritage ancestors have handed down and the countryside around Cordoba has some of the most varied landscapes and most interesting wildlife in the whole Iberian Peninsula. The city, albeit better known for its 3,000 year history and wealth of historical remains and cultural interest, is also lucky enough to be extremely close to the mountainous region known as the Sierra, with its remarkable natural treasures. 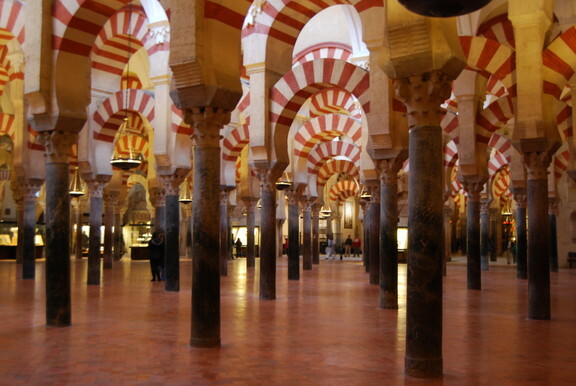 The climate in Cordoba is influenced by both atmospheric changes and geographical factors. The climate could be considered Mediterranean, although there are Continental features too, as the city generates its own micro-climate. The city of Cordoba has a high sunshine rate, with an average of 143 clear days, and only 76 cloudy days. Temperatures are highest in the summer months, while the averages for the rest of the year are pleasantly mild. Cordoba enjoys its fiestas and festivals the same as every other town in Spain, and Semana Santa, or Easter week is one of the most important. There are no fewer than 32 processions in total with beautifully decorated and ornate pictures and figures of Saints accompanied by the Nazarenos (men dressed in typical gowns with hoods that cover all the face except the eyes). These processions pass through the town followed by crowds of people. In May there are three festivals; from 5th to 12th there is the Festival of the “Patios Cordobeses”, a contestfor the most beautifully decorated courtyard; the Cruces de Mayo is when the whole town is decorated with crosses and thousands of flowers; the last week in May is when everyone lets their hair down at the Ferio de Cordoba – flamenco music and dance are enjoyed and the whole town revels in the festivities. As you wind your way south there are some beautiful whitewashed villages where a friendly welcome can always be found……Puente Genil, Benamejí, Encinas Reales and, of course, Iznajar which is popular for the lake and its beach, and not forgetting La Subbetica natural park which was designated such in 1988 and is home to a miriad of birds, flowers and fauna.